We are committed to provide you quick delivery, good pricing, superior quality INA KR52-X-PP bearings. The Schaeffler Group were incorporated to fulfill all your demands regarding INA KR52-X-PP stud type track rollers.We are the world’s second largest bearing manufacturer and cater to all major segments of industries like mining, construction, automotive, etc. 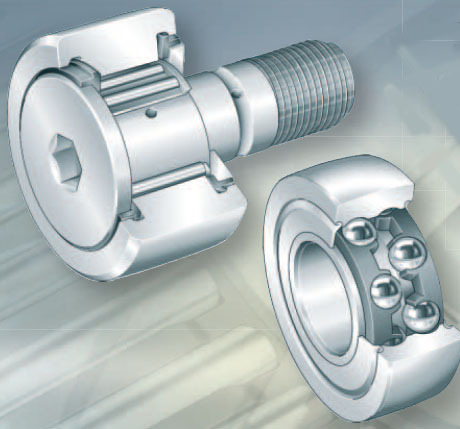 We are known for providing impeccable bearing systems for a wide range of industrial applications. Our customers expect diverse products from us and we are glad to provide them a large portfolio of bearings. Our company provides the solution for every industrial need and on the basis of every new trend. We are always a step ahead of our competitors and are moving rapidly into the future. INA KR52-X-PP stud type track rollers have the advantages of Higher load-carrying capacity and longer service life.Additional,FAG cylindrical roller bearings are widely used in many inudstries such as Food Processing and Packaging,Textile Machinery etc. Rolls Bearing Limited is a leading supplier of superior quality INA KR52-X-PP stud type track rollers from all the major premium brands. With a large stock inventory for most bearings always available, we can provide quick delivery to ensure your requirements are always catered for in a timely fashion. If you have any questions or queries about INA KR52-X-PP stud type track rollers, please do not hesitate to get in touch.